Eugène Ysaÿe (French pronunciation: [øʒɛn iza.i]) (July 16, 1858 - May 12, 1931) was a Belgian violinist, composer and conductor. He was regarded in his day as "The King of the Violin." Many important violinists of the twentieth century were greatly influenced by Ysaÿe's style, especially in playing the music of the Romantic era. A child prodigy, he became the master of the Franco-Belgian school of violin playing and played with Europe's leading orchestras. However, his playing career was shortened due to the effects of diabetes, particularly on his hands. He served as music director of the Cincinnati Symphony Orchestra from 1918 to 1922 and had earlier been offered the position of music director by the New York Philharmonic. In addition to having a major international career as a soloist, Ysaÿe also was a distinguished teacher, conductor and composer. He died at 72 of the effects of diabetes, shortly after the premier of his only opera. 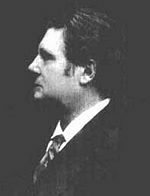 His brother was pianist and composer Théo Ysaÿe (1865–1918). Eugène-Auguste Ysaÿe came from a peasant background, although a large part of his family played musical instruments. Born in Liège, Belgium, Ysaÿe began violin lessons at the age of five with his father. He would later recognize his father's teaching being the crucial foundation of his knowledge on his instrument, although he went on to study with more reputable masters. At age seven he entered the Conservatoire at Liège, studying with Joseph Massart. Young Eugène also had to support his family by playing in two local orchestras, one conducted by his father. As a result, he was soon asked to leave the conservatory because of a lack of progress. He continued playing in these ensembles and to study by himself to expand his repertoire on the violin. By the time he was 12, Ysaÿe's playing was highly accomplished. One day when he was practicing in a cellar, the legendary violinist Henri Vieuxtemps walked by on the street and was so impressed with the sound of his violin he took immediate interest in the boy. He arranged for Ysaÿe to be re-admitted to the conservatory, studying with Vieuxtemps's assistant, the noted violinist Henryk Wieniawski. Ysaÿe would later study with Vieuxtemps himself, with whom he developed an affectionate relationship of "master and disciple." In his last years, Vieuxtemps asked Ysaÿe to come to the countryside just to play for him. Studying with these teachers meant that he was part of the so-called Franco-Belgian school of violin playing, which dates back to the development of the modern violin bow by François Tourte. Qualities of this "École" included elegance, a full tone, drawing a "long" bow with no jerks, precise left hand techniques, and using the whole forearm while keeping both the wrist and upper arm quiet—as opposed to the German school of wrist bowing and the Russian concept of using the whole arm. After his graduation from the conservatoire, Ysaÿe became the principal violinist of the Benjamin Bilse beer-hall orchestra, which later developed into the Berlin Philharmonic. Many musicians of note came regularly to hear this orchestra and Ysaÿe in particular, including Joseph Joachim, Franz Liszt, Clara Schumann, and Anton Rubinstein, who asked that Ysaÿe be released from his contract to accompany him on tour. When Ysaÿe was 27 he was recommended as a soloist for one of the Concerts Colonne in Paris, which was the start of his great success as a concert artist. The following year, Ysaÿe received a professorship at the Brussels Conservatoire in his native Belgium. This began his career as a teacher, which was to remain one of his main occupations throughout the rest of his life. During his tenure as professor at the Conservatoire, Ysaÿe continued to tour an ever-broadening section of the world, including throughout Europe, as well as Russia and the United States. Despite health concerns, particularly regarding the condition of his hands, Ysaÿe was at his best when performing, and many prominent composers dedicated major works to him, including Claude Debussy, Camille Saint-Saëns, César Franck, and Ernest Chausson. In 1886 he established the Ysaÿe Quartet, which premiered Debussy's String Quartet. As his physical ailments grew more prohibitive, Ysaÿe turned more to teaching, conducting, and composition. Among his most famous works are the six Sonatas for Solo Violin op. 27, the unaccompanied Sonata for Cello, op. 28, one Sonata for Two Violins, eight Poèmes for various instruments (one or two violins, violin and cello, string quartet) and orchestra (Poème élégiaque, Poème de l'Extase, Chant d'hiver, Poème nocturne, among others), pieces for string orchestra without basses (including Poème de l'Exil), two string trios, a quintet, and an opera, Peter the Miner, written near the end of his life in the Walloon dialect. Ysaÿe was offered the post of music director of the New York Philharmonic in 1898, but declined it due to his busy solo performance schedule. In 1918, he accepted the music director's position with the Cincinnati Symphony Orchestra, where he remained until 1922 and with which he made several recordings. As a performer, Ysaÿe was compelling and highly original. 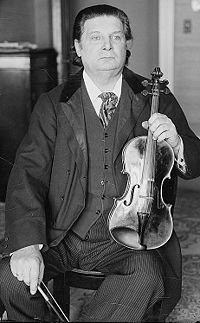 Cellist Pablo Casals claimed never to have heard a violinist play in tune before Ysaÿe, and Carl Flesch called him "the most outstanding and individual violinist I have ever heard in my life." Noted violinist Nathan Milstein referred to him as the "tzar" of the violinists. Ysaÿe urged his students to develop a large and flexible tone, influenced by a considerable variety of vibrato—from no vibrato at all to very intense. He said, "Don't always vibrate, but always be vibrating." His modus operandi was, in his own words: "Nothing which wouldn't have for goal emotion, poesy, heart." Possibly the most distinctive feature of Ysaÿe's interpretations was his masterful rubato, the art of varying a piece's tempo. "Whenever he stole time from one note, he faithfully paid it back within four bars," said the conductor Sir Henry Wood. This allowed his accompanist to maintain strict tempo while Ysaÿe freely improvised dynamic variations in mood. Ysaÿe was a great interpreter of late Romantics and early modern composers. Max Bruch, Camille Saint-Saëns, and Cesar Franck all stated that he was their greatest interpreter. At the same time, Ysaÿe was admired for his Bach and Beethoven interpretations. His technique was brilliant and finely honed, and is considered by many to be the first modern violinist. The première of Piére Li Houyeû (the composer's only opera) took place at the Opéra de Liège on March 4, 1931, during a long evening dedicated to the composer's works, in the presence of Queen Elisabeth of Belgium, who had become his pupil. The opera's story is based on a real incident which occurred in 1877 during a miners' strike in the Liège region. During clashes with the police, some shots were fired. The wife of a foreman rushed forward to seize a grenade which had been placed in the offices by a striker. But the grenade exploded and she was killed. Ysaÿe, who was very ill with diabetes, listened to the performance in his hospital room. The Queen, having been informed of the seriousness of Ysaÿe's condition, had organized the radio broadcast of the work and Ysaÿe was even able to address the audience thanks to a microphone placed in his room. After this unique performance, the work was performed in Brussels, on April 25. Ysaÿe was finally able to follow the performance live, having been taken to his box on a stretcher. Finally, suffering from the extreme ravages of the disease that had necessitated the amputation of his left foot, Eugène Ysaÿe died and was interred in the Ixelles Cemetery in Brussels. Although the critics were appreciative, the opera did not find a place in the standard repertoire. It was performed again in Liège Opéra Royal de Wallonie on November 25, 2006. Ysaÿe was married twice: He was first wed to Louise Ysaÿe, and after her death in 1924 he was married to a pupil of his, Jeanette Dincin, 44 years his junior. She was a violinist who in her teens had studied with prominent teachers such as Franz Kneisel, Leopold Auer, and Otakar Ševčík. 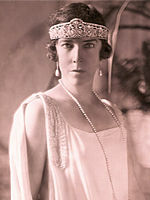 Ysaÿe met her in 1922, while conductor of the Cincinnati Orchestra. She cared for him in his ailing years. Ysaÿe only request of her after he died was that she carry on her performances under his name. His widow took over the teaching of Belgium's queen after his death, and the queen began the competition in Ysaÿe's honor. Eugène Ysaÿe's legacy has as much to do with the great violinists who were his students as it does with his excellence as a performer. Many great violinists of the twentieth century were greatly influenced by his style. Among his more respected pupils are Josef Gingold, former concertmaster of the Cleveland Orchestra and Professor at Indiana University; the viola virtuoso William Primrose; and the violin virtuoso Nathan Milstein (who primarily studied with Piotr Stolyarsky). Other well-known students of Ysaÿe include Louis Persinger, Alberto Bachmann, Mathieu Crickboom, Jascha Brodsky, and Aldo Ferarasi. Campbell, Margaret. The Great Violinists. London: Robson Books, 2004. ISBN 1861056230. Ginzburg, L. S., and Herbert R. Axelrod. Prof. Lev Ginsburg's Ysaÿe. Neptune City, NJ: Paganiniana, 1980. ISBN 9780876666203. Hoatson, Karen D. Culmination of the Belgian Violin Tradition: The Innovation Style of Eugene Ysaye. 1999. OCLC 220402310. Ysaÿe, Antoine, and Bertram Ratcliffe. Ysaÿe, His Life, Work, and Influence. St. Clair Shores, Mich: Scholarly Press, 1978. ISBN 9780403017232. This page was last modified on 12 August 2017, at 14:56.